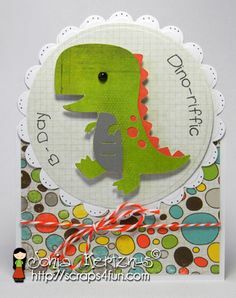 With the Cricut Create a Critter cartridge, it's easy to quickly craft handmade cards and presents that young and old alike will love. This cart can cut fifty different adorable animals. 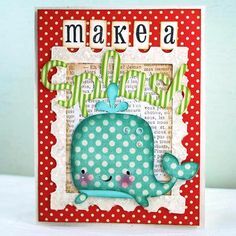 From forest friends to sea creatures, and even bugs and dinosaurs, you will love the variety of critter die cuts that you will be able to make with this cute cartridge. Also included are one hundred different accessories - dog house, bonfire, volcano, train, balloons, trees, goldfish bowl - and the list goes on! There are six different creative features, half of which make layering pieces for the critters and all the accessories. There is also a phrase feature, which is perfect for making titles for scrapbook layouts and cards. There is also a shadow feature, yet another way to add dimension to the cutouts.